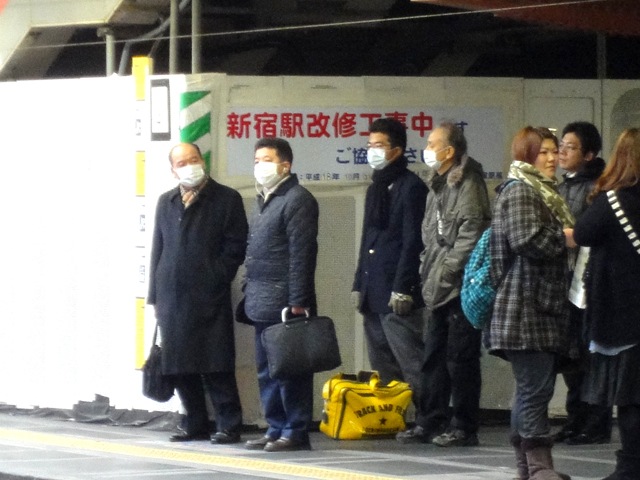 You can see a lot people wearing masks in winter and spring, in Japan. One reason is to prevent colds or flue. The other reason is “Hay fever“, allergy to pollens. (Kafun-sho, かふんしょう, 花粉症). Hay fever is an allergic reaction to the pollen of certain plants such as cedar and Japanese cypress. Shortly after World War II, reforestation policies resulted in large forests of only cedar trees. These trees become competitive with each other and produce large amounts of pollen. This pollen is a major source of this allergy for people in Japan. It causes to sneeze or runny nose, or itchy eye. 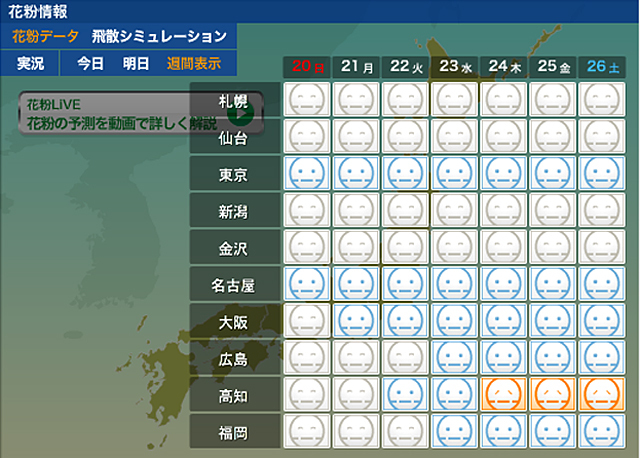 Now it said that 25% of Japanese have have an allergy to pollens. From the beginning of February, cedar pollen has been circulating in the air. It is said that the amount of airborne pollen is related to the previous summer.A hot summer with little rain produces a lot of pollen.On the other hand, a cooler summer with lots of rain produces only a small amount of pollen. Unfortunately, for hay fever sufferers (include me), after last year’s extremely hot summer, it is predicted both many regions will have record amounts of pollen… (>_<) More and more people are getting hay fever, but there is still no good way to stop it. Therefore, in order to avoid hay fever, it is important to protect your eyes and nose from the pollen by wearing glasses and masks. During pollen allergy season, Cedar and cypress allergies are so prevalent this time of year that the pollen count becomes part of the daily weather report! 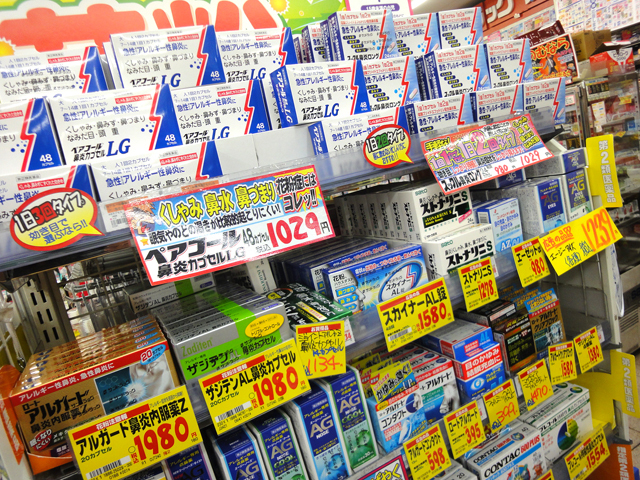 At drugstore, you can see a lot of product for Hay fever. 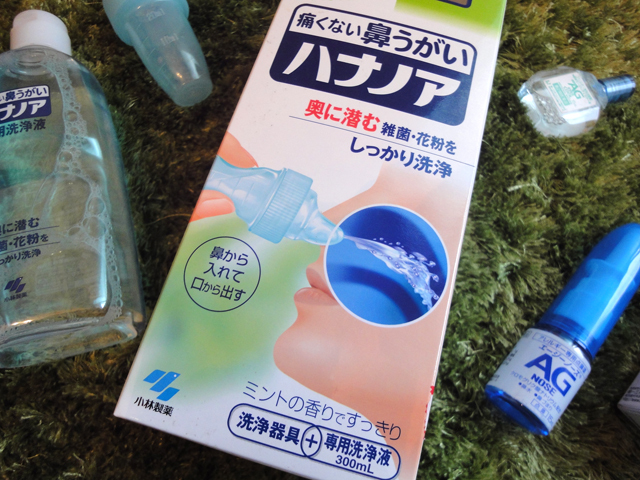 I bought a nose-wash. I hope it works for Hay fever!